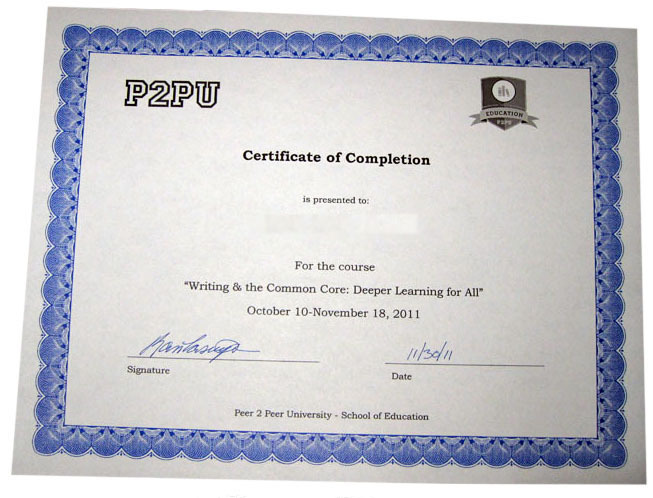 Some who participate in P2PU courses would like a certificate of participation at the end of the course. This can be used to validate participation for your school or district or just for your own use. If you would like a certificate that includes an account of contact hours, please complete this form documenting your participation. Then just email it to us at the completion of the course, and we'll be happy to send you a certificate.